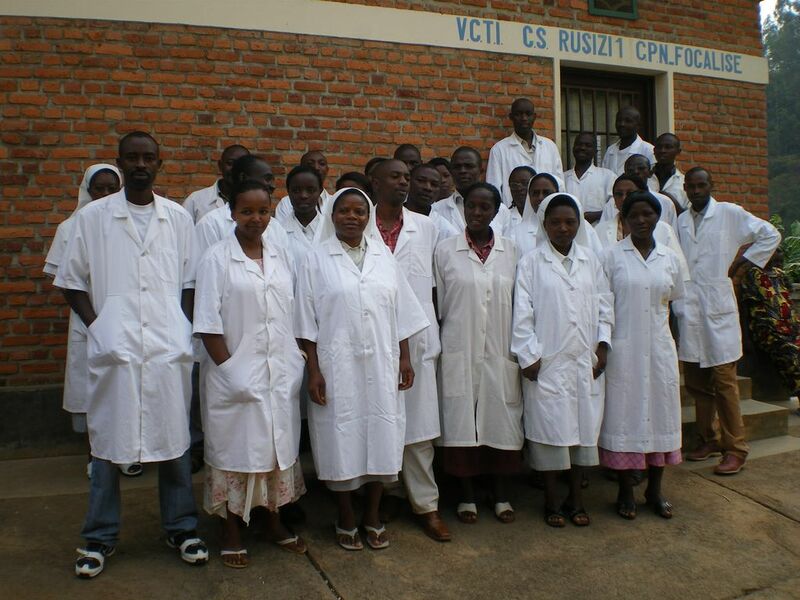 There is a shortage on nurse aprons in the health centre Rusizi – Cyangugu. The team in the centre has 30 nurses. Their aprons are worn out and they don’t have enough of them to regularly change them. 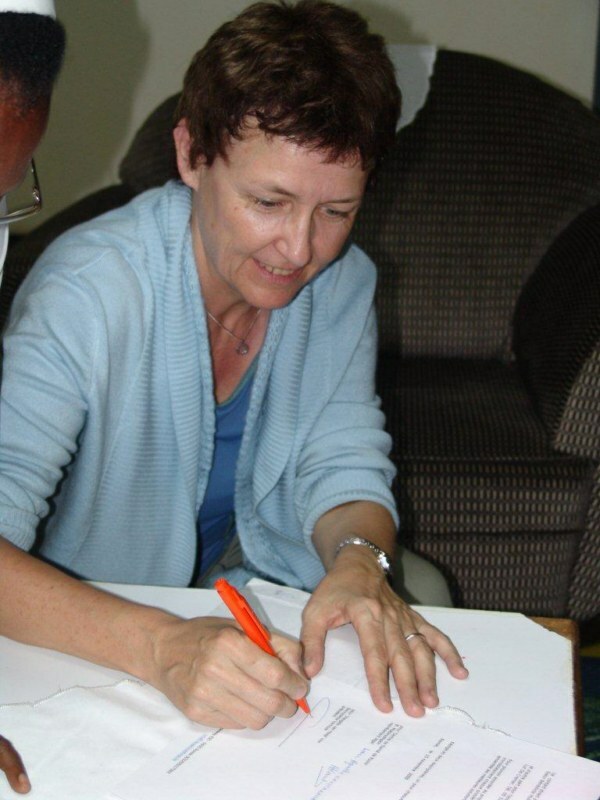 Me, sister Bénédicte Mukanyangezi, am urgently requesting for white tissue to produce nurse aprons in our own workshop in Cyangugu. After investigating we found out we need 8 pieces of tissue. Health centre of Rusizi in Cyangugu in the south-west of Rwanda. Duration of the project: time needed for manufacturing. 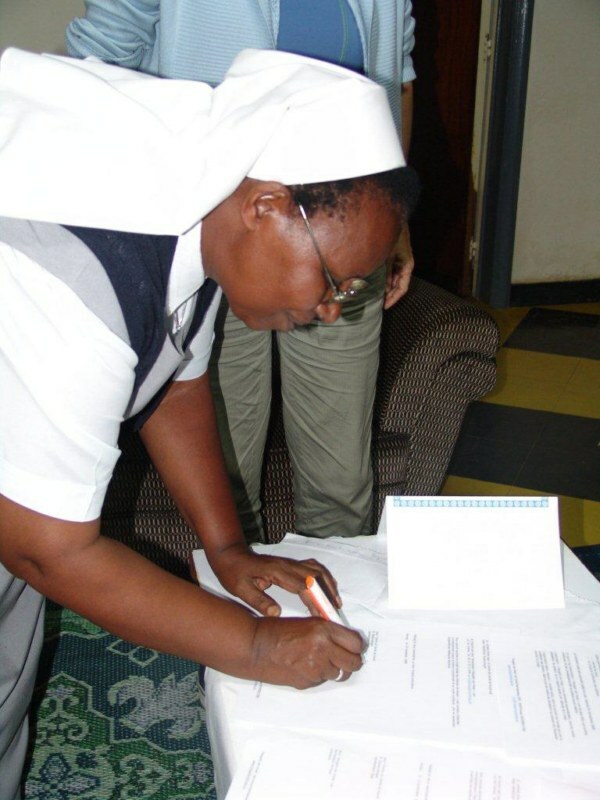 Sister Agathe and Julienne receive, in the absence of Benedicta, the funds for the manufacturing of the nurse aprons (including the purchasing of the tissues and the knitting of the aprons).